When we push through swinging saloon doors into The Whisky Room, the mixologist is in the middle of whipping up a Penicillin. 'It was invented by an Australian barman by the name of Sam Ross,' he tells us later, 'back in the early 2000s.' These days, Ross lives in New York, where he's something of a cocktail celebrity. Made up of Monkey Shoulder, fresh lemon, honey-ginger syrup and smoky whisky float, the Penicillin nearly gets away with its therapeutic deception. At the other end of the bar, Japanese Highballs are lining up, injected with Yamakazi, and right next to them, squeezed-on-the-spot apple juice is being mixed with nominated drops. Tucked away in a corner of The Clock Hotel, Surry Hills' newest whisky-dedicated retreat feels just like a liquor den should: clandestine, low-lit and leather-clad. Behind the bar more than 100 bottles glow amber and gold. Chesterfield booths, vintage maps, fishing rods and sporting trophies create an-Ernest-Hemingway-would-have-written-a-masterpiece-here-for-sure kind of feel. But if you're visiting for the purposes of socialising, rather than sitting in the corner cutting back on adjectives, you can mix at one of the long, central tables or claim a balcony stool. Both whisky newbies and connoisseurs are amply catered for. Among the dozens of options, there are standards hailing from the States, Islay and the Highlands, as well as a curated selection of rarer beasts from Japan, Taiwan, New Zealand and Australia. 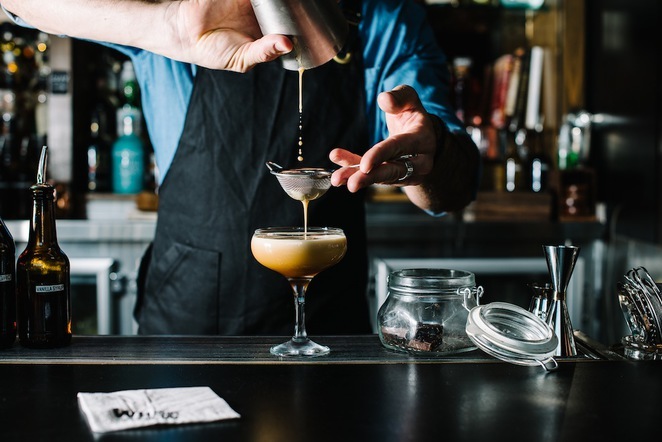 As far as cocktails go, you can stay well in the harbour with classics like the Old-Fashioned, the Manhattan and the Whisky Sour, or go adventuring with the Japanese Plum Sour (Yamazaki, plum jam, fresh lemon, plum bitters and egg white), the Malt Express (Black Bottle, fresh espresso, vanilla syrup and Amaro) and the like. 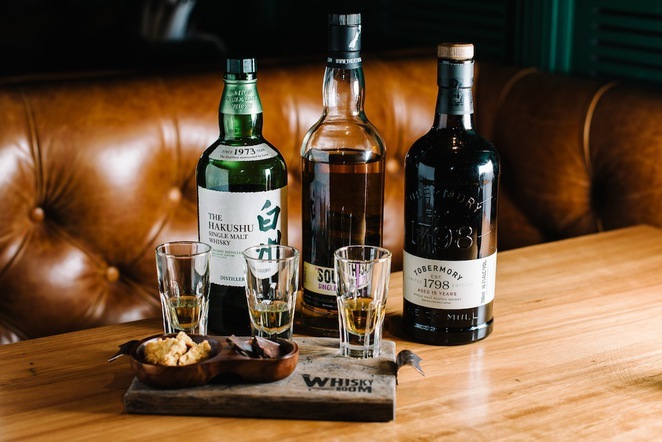 If you're looking to educate yourself, there are whisky flights on offer, which change from month to month. In November, sample Hudson Baby Bourbon (USA), Smoked Bacon Bourbon from Experimental Spirits Co. (AUS) and High West Whiskey Campfire (USA), along with a selection of bar snacks, for $25. 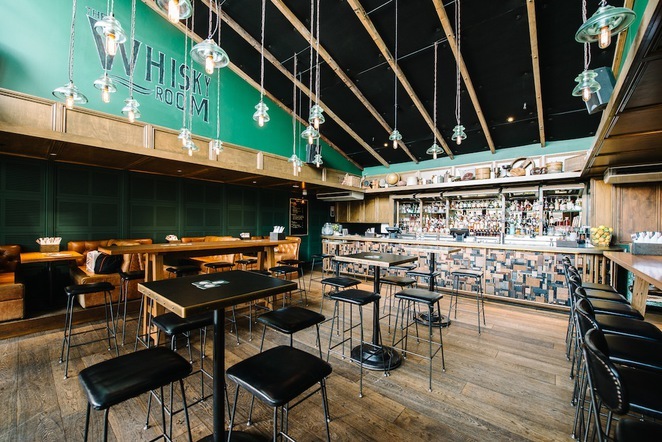 The Whisky Room is located at The Clock Hotel (470 Crown Street, Surry Hills). Opening hours are Wednesday to Sunday, 5pm to midnight.